A solution for those difficult areas: High ceilings, corridors and extra large spaces. Just clip the InVent into a ceiling vent in the space you'd like to fragrance to generate airflow through the unit. In minutes, notice the pleasing aroma of one of HYSO's original fragrances. Vent holes allow the fragrance to flow off the surface of the HYScent beads into the air with the unit's existing air flow for optimum fragrance release. Adjustable clip easily secures the InVent to any vent slat. 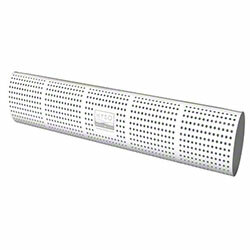 Unit can also be clipped on the inside of a removable vent cover. 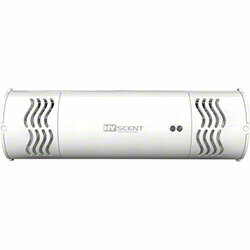 Go green and keep it simple with the HYScent InVent, an odor control device that works with your existing HVAC airflow. The HYScent Dual’s dual-fan technology was designed to ensure that its air-in, fragrance-out system provides a consistent scent that is never overpowering yet always present. In addition to exhibiting superior functionality, the HYScent Dual is one of the greenest devices on the market, utilizing fragrances that are comprised of pure essential oils and cartridges that are recyclable.